Hurry! 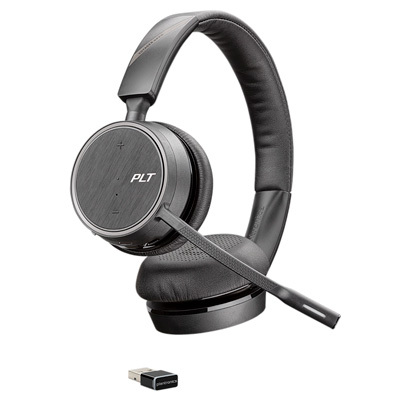 Get up to 10% off select Plantronics Voyager Bluetooth headsets from BTP between April 1 and September 30, 2018 – extended!Â Contact BTP for your special pricing now! â€¢ Over-the-ear: Voyager 5200 UC – Four adaptive microphones and Windsmart technology virtually eliminate background noise for clear conversations on-the-go. â€¢ Around the neck: Voyager 6200 UC – The latest addition to the Voyager family, this versatile neckband headset with earbuds delivers premium features and professional-grade audio for a flexible noise management solution. â€¢ Cover both ears completely: Voyager 8200 UC – Hi-fi stereo and dual-mode active noise canceling provide an immersive audio experience to help employees tune out surrounding sounds in the office. â€¢ Double ear with headband: Voyager Focus UC – Stereo Bluetooth headset with active noise canceling that blocks out the external world for total focus. Promotion dates are: April 1 to September 30, 2018.Â This manufacturer sponsored offer cannot be combined with any other promotion. Good for end user customers.Â Contact BTP for pricing today.